I am working with my uncle on his website and we discussed the topic of security for his WordPress website. We spoke over the phone one day and he mentioned this plugin to me called Stealth Login Page. 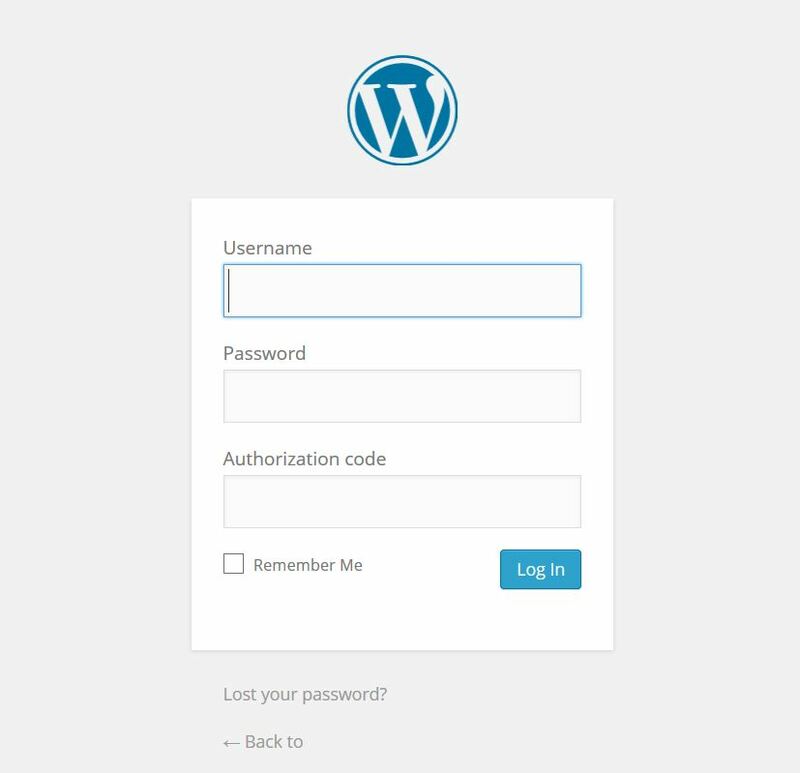 This plugin gives an extra layer of security to your website by requiring you to add a special code to your login screen. I decided to give it a try. What is great about this plugin is that most of us keep the same password so this plugin gives that extra line of defense against online hackers. This is a code that you create that you will know. You are required to put in that code underneath your username and your password. See below for what your login will look like once you have added this plugin. I like this plugin. Adding an extra line of security to your website (especially WordPress) is important in my opinion. When I worked at my old agency (Wakefly), I had a client that used WordPress that was hacked for months before they started to work with us. They did not realize their website was penalized by Google for having hacked content. The content was from a hacker (or a bot) that would login to their WordPress website and write content promoting Nike Shoes. My client at the time did not know they were penalized or that someone was writing content on their website to link back to their site. For me this is very scary because hackers can infiltrate more information on your WordPress site if you are not careful. Especially if you are storing email addresses with a leads plugin or if you are using an e-commerce aspect to your website. This can lead into a huge issue as you are not only putting your business to risk but you are also putting others at risk. The most glaring issue I have with this plugin is what happens if someone gets on your computer and changes your code without you realizing it. There should be a mandatory email that get’s sent to the email that is on record for your WordPress so you can see what the code is and when it was changed. The box to check this off is only as a suggestion to receive an email which I find as a glaring issue. Essentially I could just change this code and let nobody know. All in all my feelings are that this is a good plugin for everyone to use as an extra line of security. However, my biggest concern with the plugin is if someone figures out your login and they go in and change your code without you realizing it. I would also like to see a text message that you get (like Gmail) that gives you a random code every time you log in. I think having that extra line of protection would give this plugin a much higher rating. As I mentioned, I like it a lot, but I know it can be better. The score comes out to be a 3.5 out of 5 stars. While I was originally going to give this a 4.5 starts my cons started to become more and more glaring and I can see this becoming an issue if a hacker hacks into your website and changes the code without your knowing.